Learn Fox worked with HGEM on a project to capture their industry leading hospitality subject matter expertise, to design and create a suite of 12 x e-learning modules focused on empowering staff to deliver a top rate guest experience. These have been developed in partnership with Learning Pool and are now available to both HGEM and Learning Pool hospitality clients. HGEM work with over 300 hospitality brands in (5,000 locations internationally) helping them match guest experience to brand promise. They understand the challenges the hospitality industry face, such as high levels of staff turnover, the hospitality industry’s reputation for not being a long-term career option and the huge importance of training and development to today’s workforce of millennials (86% of millennials say that good a good training and development offering would keep them from looking elsewhere). The 70:20:10 model for learning & development tells us that 70% of effective learning comes through on-the-job experience, 20% from peers and colleagues but how can we ensure that the 10% that comes from courses and training produces transformational results and return on investment? In the hospitality industry the importance of on-the-job experience for confidence and process knowledge is undisputable but to deliver a top rate guest experience there’s much more to staff training than this. In a competitive marketplace your key differentiator is the experience that you’re offering your guests. The 10% of effective learning that comes from courses and more formal staff training should be so much more than compliance driven, if you’re wanting to attract and retain the best talent, offer a key benefit that your workforce will expect, and ensure your teams are delivering a guest experience in line with your brand. HGEM use a framework that breaks down the guest experience into 4 key areas: People’, ‘Process’, ‘Product’ and ‘Place’; each with 3 segments (with a total of 12 segments framing the entire guest journey) which can be both measured and improved upon. 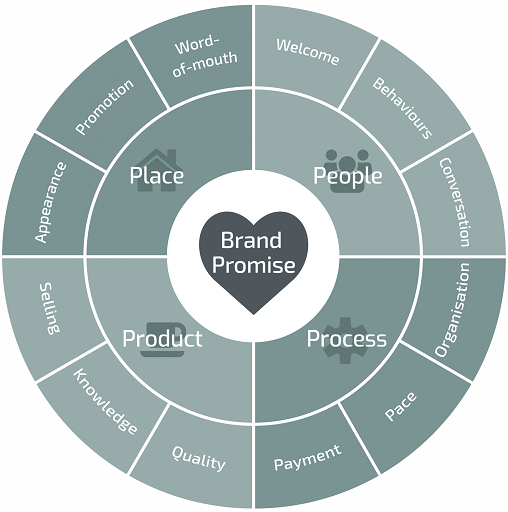 At the heart of this is the brand promise, or intended guest experience, for your particular brand. HGEM measure the guest experience through data driven insight and mystery visits to find the gap between the intended and actual experience, and then help you close it. These elearning modules each take approximately 25 minutes each, are fully mobile responsive to meet the needs of the audience (built in Learning Pool’s Adapt Builder), are interactive with a bitesize video for the key concepts and have scenario based questions to reinforce learning. They are also customisable to tweak for your individual brand. These are off-the-shelf modules that take hospitality customer service to a whole new level empowering your teams to deliver a top rate guest experience increasing guest loyalty and return visits. These modules are available to both HGEM and Learning Pool hospitality clients, and you can sign up to a free trial.